Before augmented reality. Before virtual reality. 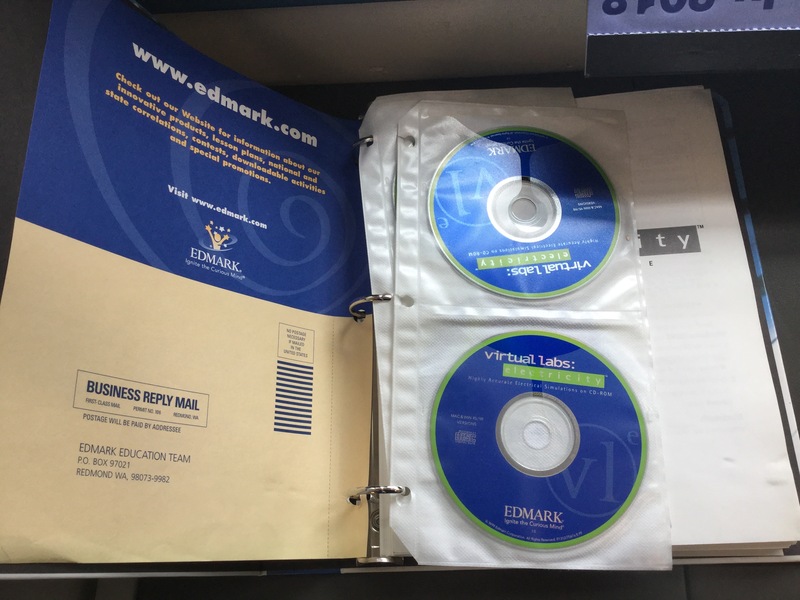 Back in the day when software came on CD-ROMs in binders, the Edmark company released several science titles. 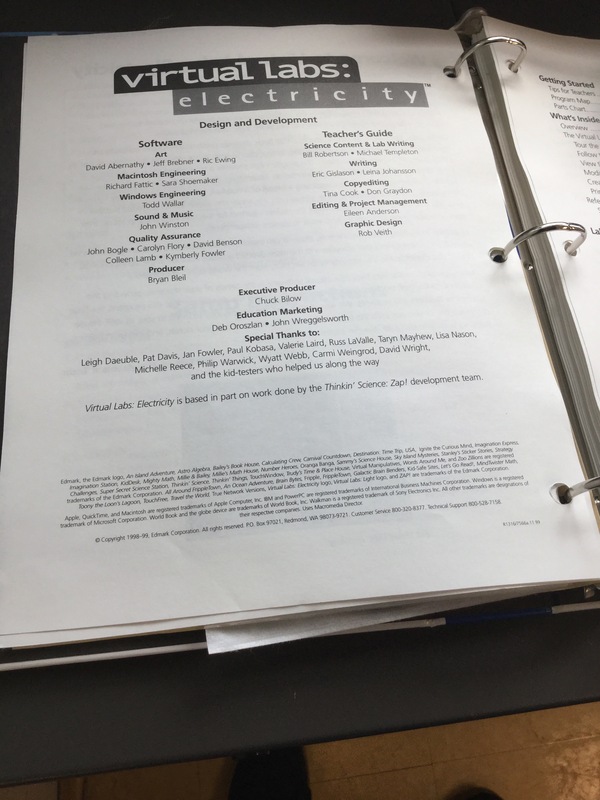 Unlike their software marketed to younger children (e.g., with cartoons and talking animals), these titles were sophisticated simulations. 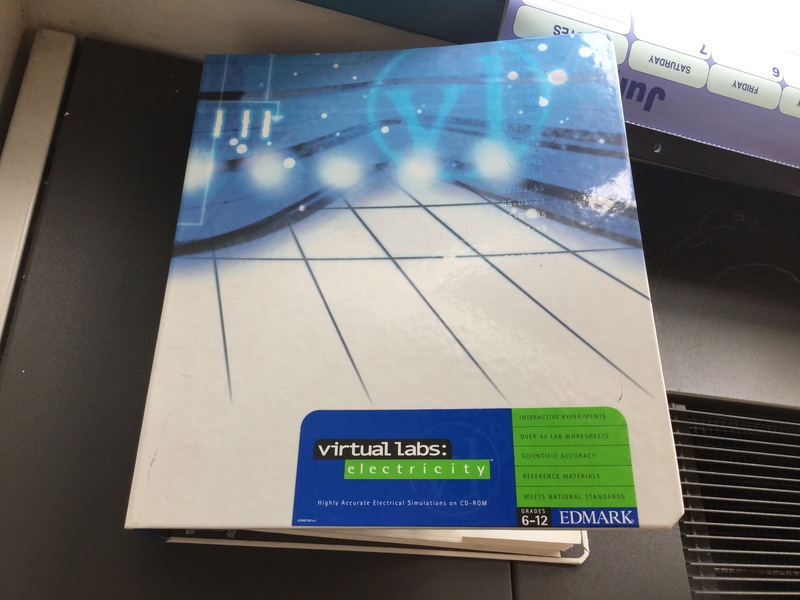 I discovered a classroom set of “virtual labs: electricity” (note the ‘laid-back’ lower case title on the cover of the binder). 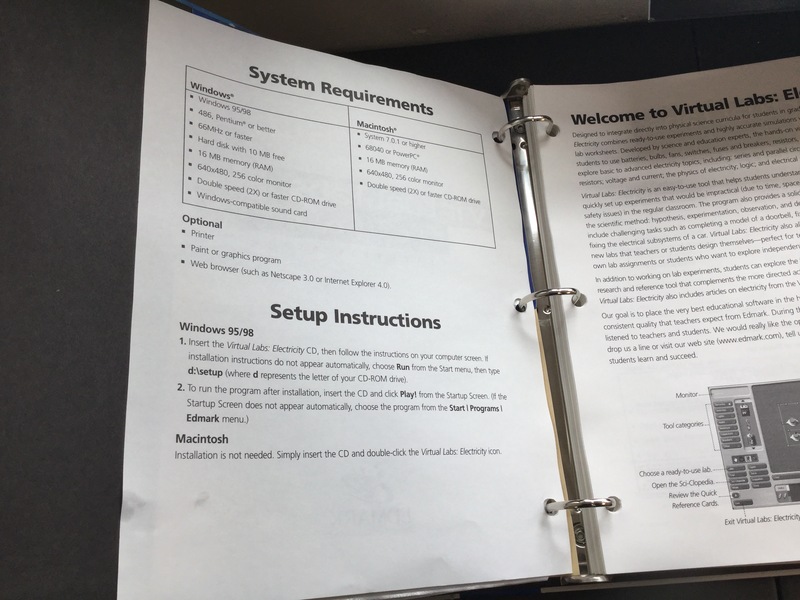 The program needed 16 MB of RAM to run and Netscape 3.0. ~ sigh ~ The salad days of the Internet.